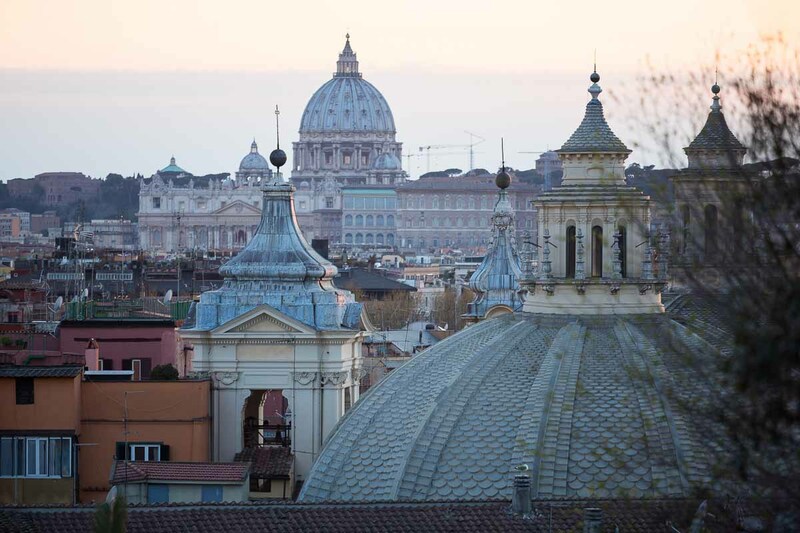 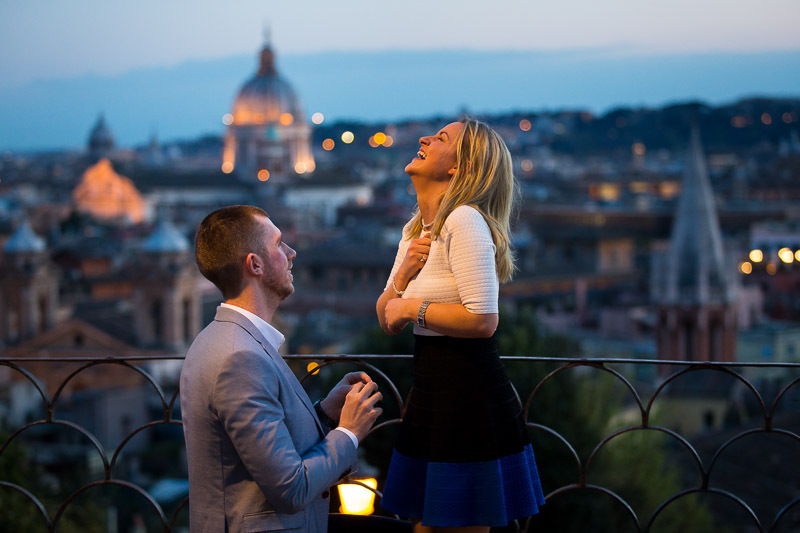 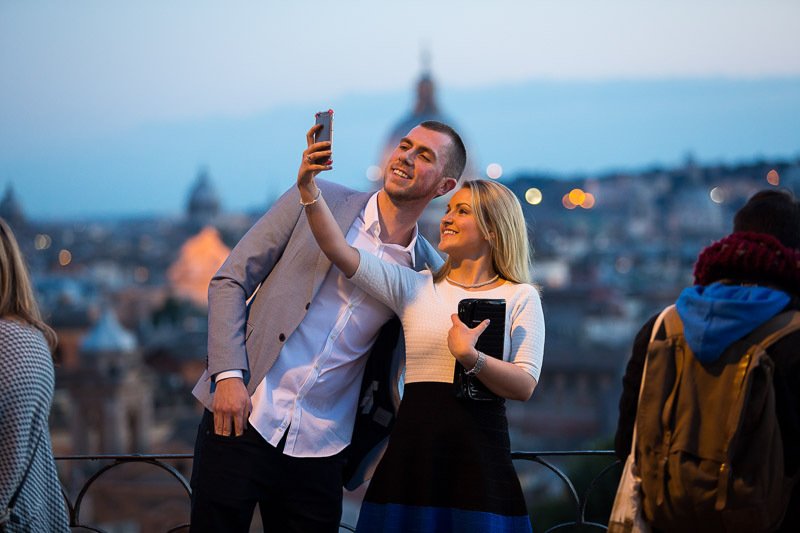 A romantic wedding proposal overlooking the ancient city of Rome from the above Pincio park. 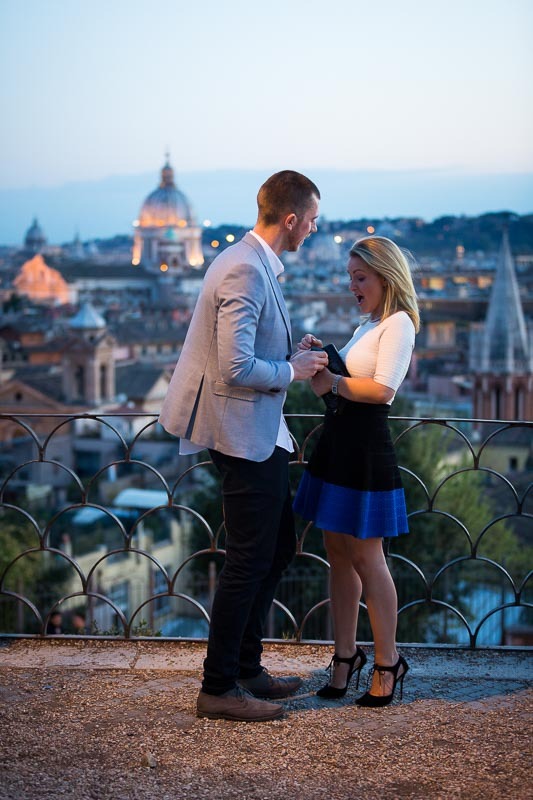 A beautiful moment captured in photography with cool dusk sunset lighting and the warm street light coming from a nearby light pole. 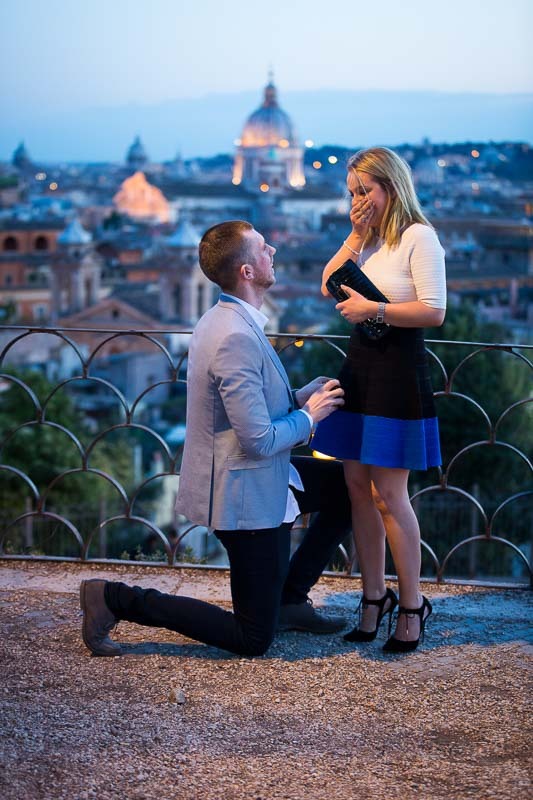 A well worked surprise and a truly romantic moment followed by much joy and happiness! 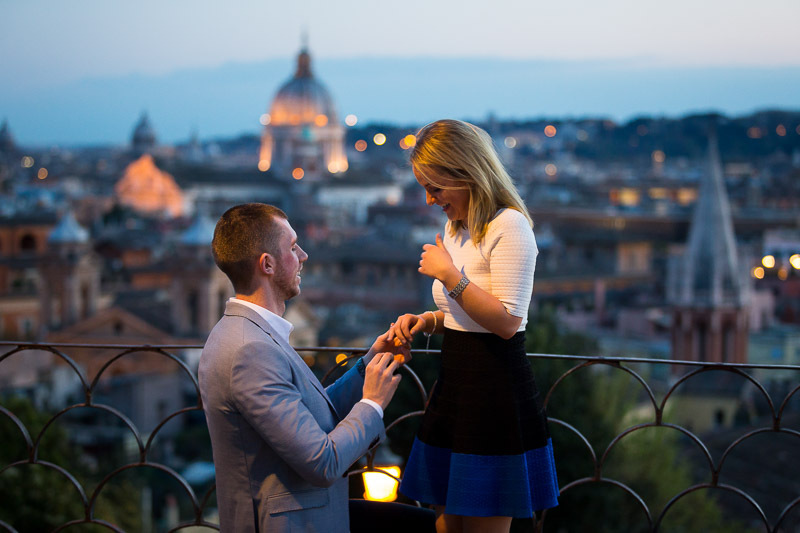 Asking the big question in Rome Italy.